Three Divisions: Honor Division, First Division and Second Division. Map of League 2019: Anubis. All vs. All format inside each Division playing 2 sides (red and green) or 1 side (red or green) depending of Division. 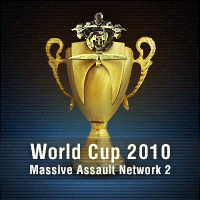 The information about this tournament will be published in this topic of forum. Individual tournament: every player participates on his/her behalf only. 2 stages tournament: First stage will be a Candidates tournament and Second stage will be a Final match between winner of Candidates and current World Champion. Candidates tournament: 1st phase with groups and after K.O. Format in 1/8, 1/4, 1/2 and Final. Tie-break game when needed in the same map of round. High-glicko player will play red side. Final match with current World Champion: It will be a match with small, medium and large maps with a minimum of 6 games but this number may vary. Awards. 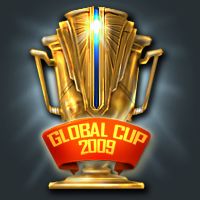 The winner of the whole tournament gets a «lifetime» title and virtual «World Cup-2018» medal. Candidates winner will have too his own virtual medal. Player`s nick will be entered to the Hall of Fame. The information about the tournament will be published on this topic of forum. Page load time 0.085 seconds.